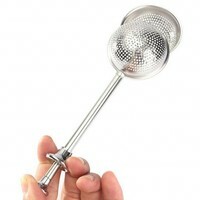 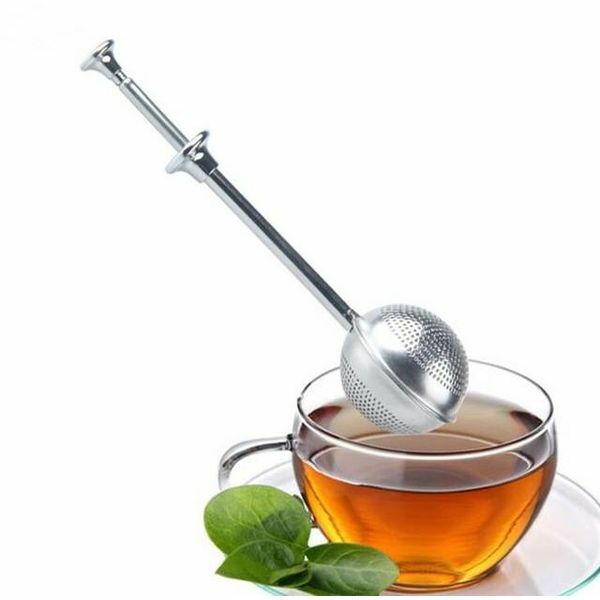 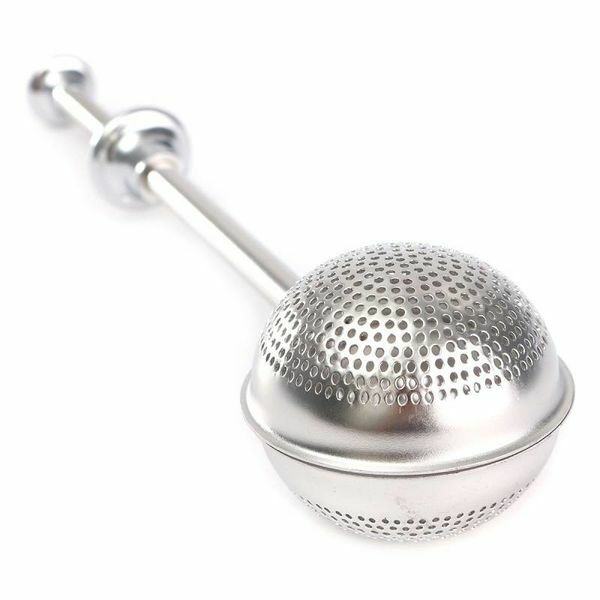 Preparing loose leaf teas is not difficult, certainly not with this luxurious tea ball. 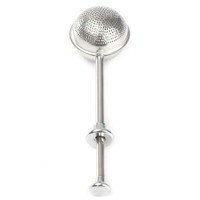 The two halves slide over each other and are easily opened with the mechanism on top of the shaft. 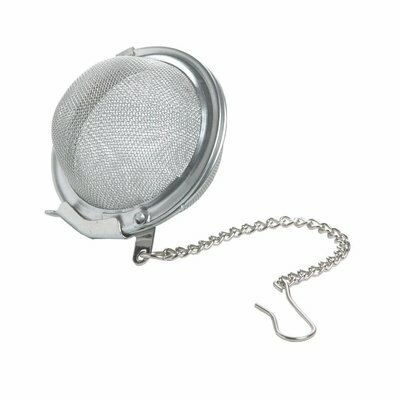 Fill one of the halves with some tea and place the infuser easily in a teacup or mug. 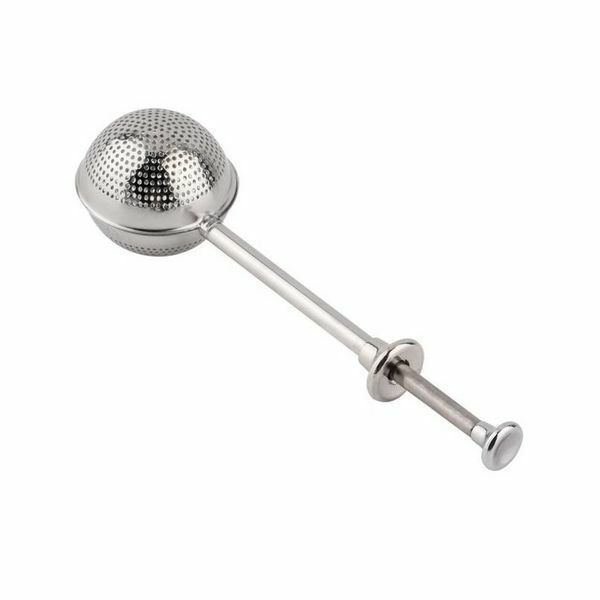 The luxurious tea ball is made of stainless steel and can easily be cleaned in the sink or by dishwasher. The tea ball has a diameter of about 5 cm. 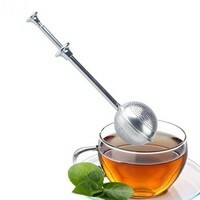 The length of the shaft is about 18 cm.